Humanism is an ethical philosophy of life, based on a concern for humanity which combines reason with compassion. Humanists base their interpretation of existence on the evidence of the natural world and its existence. The service which lasts approximately 45 minutes, attempts to balance the sense of loss with a celebration of life. Martin Neligan & Sons Funeral Director can contact the celebrant for you if desired. 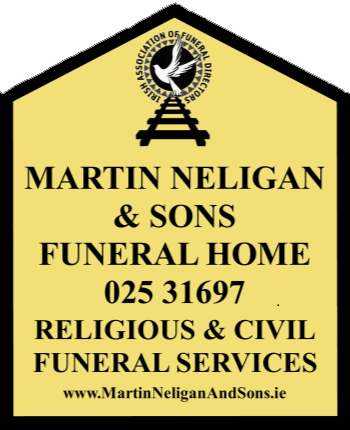 For Families that do not want a religious service, Martin Neligan & Sons Funeral Directors has a lot of experience arranging alternatives including a suitable venue.